Their condition is assessed as satisfactory. As of today, November 1, there are 11 victims of the explosion and shooting at the Kerch Polytechnic College are still in the hospitals of annexed Crimea. Seven of them are teenagers. The corresponding information was provided by the press service of the Crimean "Ministry of Health". The condition of the victims is assessed as satisfactory. One girl who was treated in a hospital in the Krasnoyarsk Territory was sent to the Kerch city hospital. However, she refused hospitalization. QHA reported that on October 31, five people injured during the incident at the Kerch Polytechnic University were released from the hospitals of the annexed Crimea and 16 people remained in the hospitals. 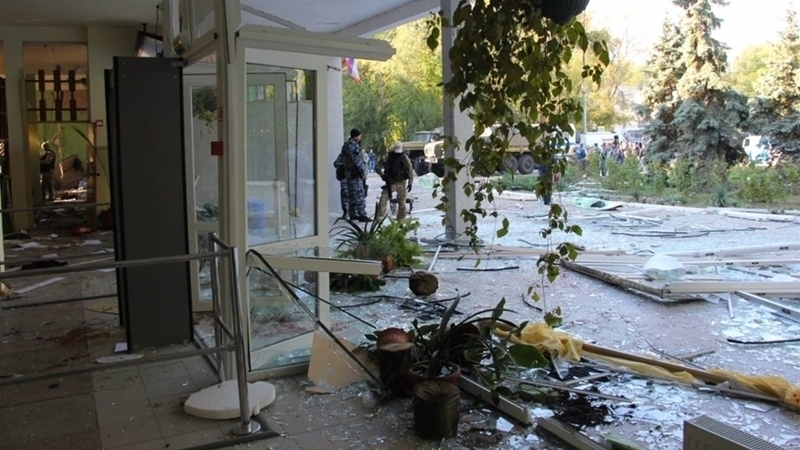 On October 17, an explosion and shooting occurred at the Kerch Polytechnic College. According to Investigation Committee, it was organized by a fourth-year student, Vladislav Roslyakov, who presumably shot himself with a gun in the library. As a result of the accident, 21 people died, including the suspect. More than 50 people were injured. October 23 classes resumed at the Kerch Polytechnic College. 22 families decided to transfer their children to other educational institutions.